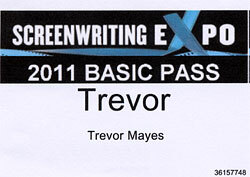 This weekend I attended the Screenwriting Expo in Los Angeles and took in some terrific seminars and panel discussions. I also pitched my latest script to a number of production companies. All this week I’ll be updating you with screenwriting tips and insights gleaned from various sources. I’ll also throw in a few stories from my experiences. So stay tuned! What is the Screenwriting Expo? The Screenwriting Expo is a yearly event that gives screenwriters rare access to screenwriting consultants and established industry pros (Agents, Managers, Producers, and Professional Screenwriters). You pay something like $100 for a basic pass and then $5 or $6 per seminar (some panel discussions and keynote speaker sessions are free). There’s also a Gold Pass which I believe is $300 that gives you unlimited access to any seminar. Though unless you’re Hermione Granger and can attend multiple sessions at once, I’m not quite sure how the extra $200 dollars is justified. Perhaps you get a free monkey. Anyway, in addition to the seminar portion of the event, there are opportunities for screenwriters to pitch their ideas, and themselves, to production companies and management companies. The pitch tickets are extra (even with the Gold Pass), and depending on how you ordered them, they cost anywhere from $15 to $25. So keep all that in mind for next year… if you decide to go. I’m not gonna lie, the Screenwriting Expo web site is about as easy to navigate as that maze in The Shining, so I didn’t have high hopes for the organization of the event. When I arrived at the main door of the Westin Hotel, there were no signs pointing me to the Screenwriting Expo (or maybe I was just blind), so I had to ask someone where to go. After I found the registration area and picked up my package, it was discovered that my pitch tickets were missing. I was then referred down a long hallway to the pitching area. They, in turn, referred me back to registration… who then referred me back to the pitching area. Finally one of the volunteers wrote my pitching times on a blank card with a red Sharpie. It seemed sketchy, but Dude was right! However, when I went in to pitch I discovered that if you had a 10:10 a.m. pitch time like I did, that didn’t mean you were pitching at 10:10 a.m. — it meant that you were pitching at some point in the future depending on how far behind schedule the pitches were running. Many people were told, while waiting in line, that their scheduled production or management company had cancelled. This happened a lot. Standing there felt a little like Russian Roulette, only in reverse. You dreaded not getting your shot. So it wasn’t bad enough that you had to worry about your pitching performance, there was a tremendous amount of added stress brought on by the fact you had to worry about whether or not your company was even going to be there. But if you actually got in to pitch to your company, and you had your stuff together, it was a golden opportunity. And I must say the volunteers they hired for Screenwriting Expo did a FANTASTIC job. They were good at diffusing stress, encouraging and attentive to the needs of the attendees, highly adaptable to the sometimes troubling circumstances, and tireless in their efforts. The great news is that after the initial hiccups, things went quite well and it was a very rewarding experience. Did anyone attend the Expo on Thursday or Friday? (I only attended on Saturday and Sunday.) What were your first impressions? It was my first year going, and I did the Gold Pass and also was wondering what the benefit was. None of the panels were sold out (the Gold Pass is supposed to help you cut through the lines). But apparently, attendance was down this year, mostly attributed to the fact that it was in September instead of the usual October, or November like I was last year. I talk to other people who said in most years, there are lines to get into a panel, and the Gold Pass lets you bypass the lines and get in before the huddled masses are allowed in. Also, the Gold Pass gets you into the three Networking dinners for ‘free’, as opposed to $30 each. I’m not sure I would have paid to go all three nights if I’d just had a basic pass, but having already paid for the events, I made myself go, and I’m very glad I did. Made lots of new friends and learned a lot from other screenwriters. I attended fifteen events, so that would have been about $90 if I’d had to pay for each one, and finally, the Gold Pass gets you a one-year subscription to Creative Screenwriting. So in the end, it was ROUGHLY a break-even. I certainly don’t feel like I wasted my money. And the convenience of not having to buy anything extra (I didn’t pitch) or wait in line is worth something. If it had actually been crowded and lines formed to get into panels, it would probably have been a slam-dunk. I went all four days, and the first two days were pretty much just like the last two, except slightly less attended. I was really expecting the ranks to swell on the weekend, but that didn’t happen. That said, every panel I went to on the first two days was a home run, especially the two by Dara Marks. In fact, out of all of the panels I attended, there was only one I considered an absolute dud. The rest I’d all rate B+ to A+. All of the Guests of Honor/Interviews were great. All of them answered questions and talked to us long after the session was over. Ben Ripley’s session was really good and I’m sorry you missed it. I had an amazing experience and will probably do it again next year (I’m in Houston, so it’s not as easy a decision as driving down to hotel as it is for many people). I learned a TON, and am as fired up about writing as I’ve ever been. But the biggest take-away I got from the whole Expo was that there is no one way to be a screenwriter. EVERY person had a unique breaking in story. EVERY person had a different technique (Outline! Don’t outline!). The only thing each of them had in common was talent, work ethic, and perseverance. Breaking into Hollywood is seemingly numerically equivalent to winning the lottery, but unless you get a lottery ticket (and in this case, that means an AMAZING script sample), you don’t have a chance to win. Didn’t do the pitch fest, but if I go next year, I’ll almost certainly do it. 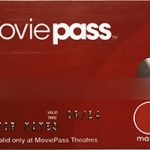 Hey Vic DiGital, great review of the Expo and Gold pass! Glad to hear that the networking events worked out well for you. I’ve heard nothing but great things about Dara Marks and will look forward to her sessions next year. Terrific advice about “breaking in” — there’s no right way. If you have talent, most of the battle is showing up to write consistently. Thanks for the comprehensive feedback! Don’t knock the free monkey – mine’s picking fleas off me to this day. Awesome Russian Roulette analogy. I can’t wait to read more. Also, did you find that screenwriters wanted to meet each other particularly? @Scott — A flea picking monkey! I am DEFINITELY getting a Gold Pass next year!! Haha. I didn’t get a sense that screenwriters were there to meet other screenwriters. Nothing beyond the usual group dynamics. Some people, like me, like to chat people up who looked interesting (or hot); some people like to cower in the corner practicing their pitch; some people were super-talkers trying to make up for their recent lack of human contact. I went this year; I had some free passes and such. One thing I learned: really plan your pitches and group them together. Of course, this can be blown apart by companies bailing. I had 3 split on me, but one of my replacement companies asked for my script so that worked out. In fact, one of the companies that bailed looks like they split right before my time (basically, to expand on diarist’s notes, you’re in the holding area in, say, “Conference Room B,” then when it’s your turn, you go thru the door to Conference Room A). So I got to the table: notepad, pen, some former pitcher’s one-sheets, and the producer’s badge. But no producer. Just. Gone. Suddenly. But anyway, I had spread all my pitches apart and that really cut into the seminars and workshops I could attend. But if you group them, not only do you have more free time for that stuff, but I think you build up a sort of head of steam and energy with your pitches that could serve you well. Thursday there really wasn’t anything going on, and Friday seemed pretty comparable to Saturday. Sunday was dead. I’m told that in previous years there were 3-4 times as many companies and at least that many more pitchers. But with the economy, Toronto Film Fest, the Emmys, just too much competition. Glad I went. Forcing myself to sit and talk about my story really helped prep for some upcoming meetings, I think. I’d attended the Hollywood Pitchfest in July and there were 200 companies available to pitch too. This past weekend? Not sure but it had to be less than half that and two of the firms I’d done serious due diligence for just bailed. And, while it can add up, the $20.00 a pitch for this past weekend is the way to go. The silent-auction, F1 standing start run into the hall and sign-up at the Hollywood expo is both ridiculous and insulting. The pitching went fine. Leave behinds left, 10 pgs. asked for, e-mails exchanged. Long process. My wingman, actually I was his wingman, signed an option in the lobby of the hotel so, yes, it actually can happen just like that. Afterwards they shook his numb hand and said, “Welcome to Hollywood”. Yeah, Chris, have to say, I saw the same thing–the 3 or so seminars I was able to partially attend, during the QA, each time, a hand went up, asking “THE” question. Each time. Whether or not it was even appropriate for that speaker. You’re right about scheduling. It definitely helps with the momentum of your pitches. I was also surprised by how dead it was on Sunday. And that had some of the best sessions and pitching opportunities! 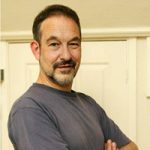 Chris Henry — Great insight into the Hollywood Pitchfest, thanks. I’ve never been to that one before. Yes — the Transmedia panel. I was so bummed that it was occurring at the same time as another one of my sessions. Great to hear about the success story in the lobby! One of my friends told me he refuses to pitch at the Expo because he’d never heard of anyone selling anything. It sounded absurd to me. It’s impossible to track the various connections made at these conferences… but I’m sure many a sale, or assignment, or option links back to them. An update: One of the companies that bailed–and the main one I wanted to see–just announced they were shutting down in 2013 (Phoenix Pictures). So I guess I’ll forgive them for not showing up. Hey zuckerman, thanks for the update! Phoenix was one of the companies I was hoping to see as well. I guess shuttering their operation is a valid excuse.